Silicone is used in many homes as a sealer around windows, sinks and bathtubs. Since silicone is used where water or excess moisture could be a problem, it is also susceptible to mold growth. Mold spores float in the air. If moisture is present where they land, they grow, feeding on the material they land on. Initially, mold damage may be cosmetic, but as it grows, it can cause structural damage. Silicone has many household uses. Stop water leaks and eliminate excess moisture around the silicone, if possible. Plumbing problems and inattention to water pooling are causes of mold growth. 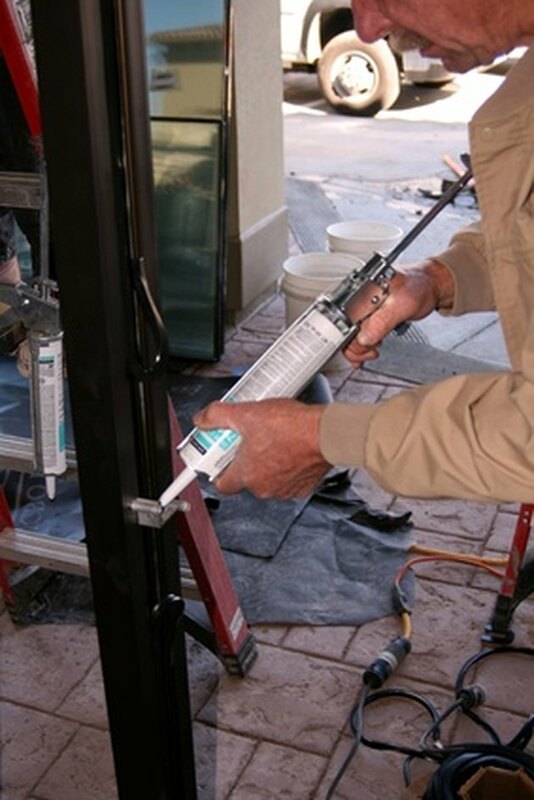 If the silicone is used to seal a window, the moisture may be impossible to eliminate. If contact with water can't be avoided, frequent cleaning will control mold growth. Wipe up water and run the bathroom fan for 10 to 15 minutes after bathing and showering. 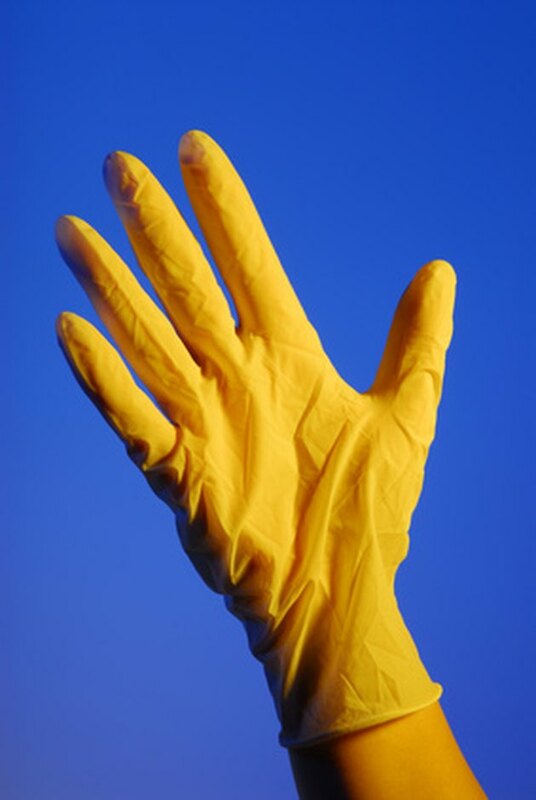 Use gloves to avoid skin irritation from household cleaners and mold. Put on protective gear, including gloves, a respirator and goggles. Mold is an allergen that could cause irritation to the skin, eyes or respiratory system. 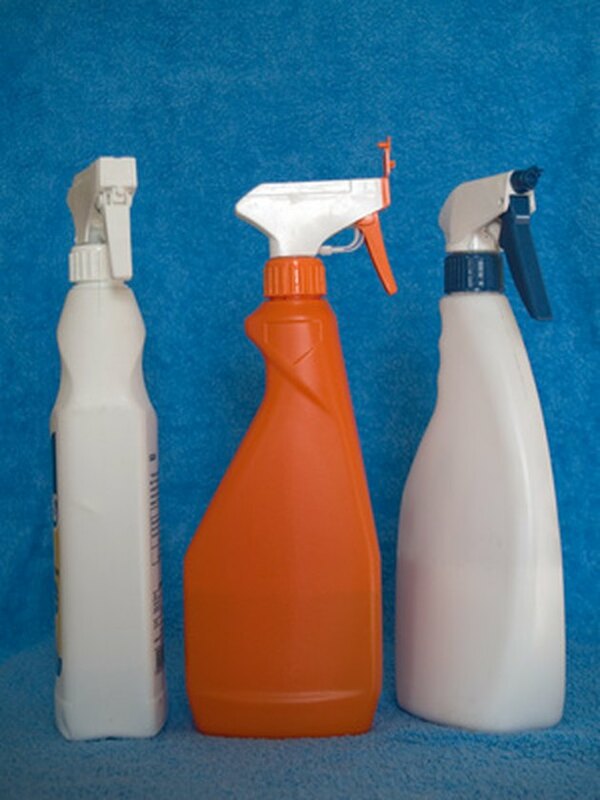 Use products with bleach in well-ventilated areas. Generously spray the household cleaner with bleach on the moldy silicone. Allow to sit for five to 10 minutes. Using the scrub brush dipped in water, scrub the silicone in 1-foot sections, then wipe and look for more mold. Rinse the scrub brush often. If there is more mold, reapply the household cleaner with bleach. Scrub again and wipe dry. Remove and discard the silicone that can't be cleaned. 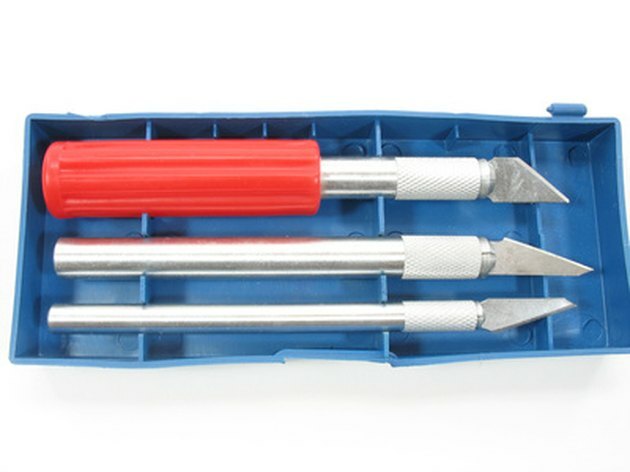 If the silicone still has mold on or under it after cleaning, pull it up or use a scraper to remove it. Clean and dry the surface thoroughly and reapply the silicone, following the manufacturers instructions. After realizing the character curriculum she wanted to teach was unavailable in Mexico, Perri Sams began writing curriculum for children and their parents in 1990. Sams attended Louisiana State University and graduated from Calvary Ministerial Institute Spanish Language School in 1989, where she was valedictorian. Sams has been based in southern Kentucky since 2003, where she has written extensively for "Kentucky Family Living" magazine.